Walter KANNEMANN are reportedly interested in signing the six foot defender. 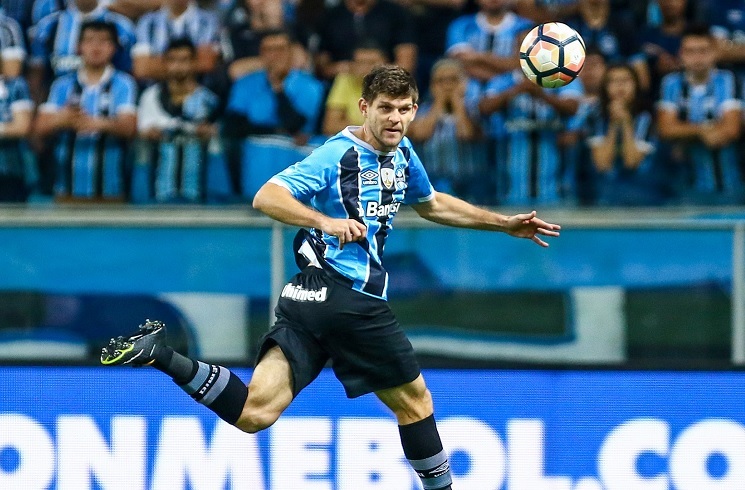 According to a report by Cesar Luis MERLO, Serie A club Cagliari are looking to sign KANNEMANN of Gremio. Based in Brazil, the 27 year old defender joined his current club in 2016 and has two Copa Libertadores titles to his name. The first coming in 2014 with his former club San Lorenzo and the second with his current club. It appears as though a €3 million offer has been submitted by Cagliari but that bid has been rejected. 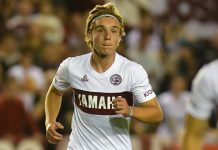 A second bid is rumored to be coming. Joaquin Correa has moved to Lazio. One Europa league team to another. So, their chase of Pity Martinez is off. Lazio is a strong, competitive team so if true it could be a good thing for him. Joaquin is a talented player but if he wants to be world class he has to be more consistent. As for them chasing pity, well that’s all based on unconfirmed reports so who knows. How so? They’re both in europa league this season, also last season Lazio were far more competitive and consistent in their league than Sevilla were in theirs. sevilla are the recent europa kings and are feared across europe and in league. im not saying lazio is bad or anything, but i think sevilla is a bigger club. 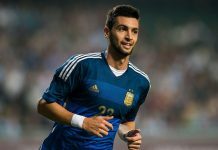 Arg.must try to rotate these players in coming 4 or 5 years..
Dybla icardi locelso pity krane lautaro barboza foyth mammana mouricio asacabar werner rulli andrada pavon guido acuna cervi centurian paredes lamela lanzini taglifico conti palacios etc….give more opportunities for them to set up a good unit..
Kannemann has been one of the best defenders in the Brazilian league, some pundits in Argentina even wanted him called up for the WC. I personally think we have better defenders. Let’s see if Kannemann, Colombatto and Lucas Castro will end up playing together at Cagliari. Benjamin Garre does not make the Man City Squad for this season. He was not one of the 6 new reserves who have been promoted. Even a loan doesn’t look likely for the kid right now. Bruno Zuculini? Deja Vu? Fairly good reflection of our state of affairs for copa2019. We r talking abt serie a average teams & 3.5mill transfers. Other than Lautaro movement nothing even noticeable. 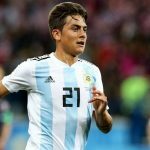 Parades continues to be in Russia,icardi with Madrid still a dream, meza, pavon , Bustos buried in local league… compared to that for brazil, we have junior, Malcolm, Arthur moving to Barca/ real Madrid… I have zero hopes for copa19 & only wish that someone takes over to work on grassroot so that we start seeing some good talent come out for long term future. For now even 2022 looks too close for recovery. @amit Sometimes our players are to blame. Look at Rulli for example. He had a chance to go to Man City permanently. He turned it down because he wants to fight for an Argentina place in Spain, what? He also wants to be a goal keeper at Boca. So instead of going to Man City with a world class coaching team where he’ll be Argentina’s number 1 he chooses mid table team in Spain then his desire is to play at Boca. He makes to many mistakes. How about we wait for the transfer window to close before we declare doom and gloom. Paredes’s status is of big interest to me because I think he’s a big piece of the puzzle going forward and again i will wait until the transfer window is closed before i rest my case and say that he’s bound to be forgotten in russia. Regarding Meza and Bustos, well the former has sadly shown that he’s not good enough while the latter is still quite young and needs to show a semblance of consistency before he even thinks about going to europe. As for pavon, well I woudn’t mind him staying in Boca for another year and get his confidence back after the disappointment of the WC, although some unconfirmed reports indicate that he might end up in Arsenal so we’ll see. I personally prefer to see Argentines go to a smaller club in a strong league e.g. Stuttgart with ascacibar or Villareal with caseres where they have a chance to play and develop than go to a ‘big club’ and rot on the bench. 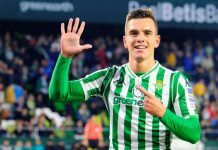 For every Celso and an A.Correa who managed to make it into their fancy clubs there are many more players who get overwhelmed by the pressure and end up as wasted potential. The English transfer window is closing on 9th August which is earlier than any other transfer window. 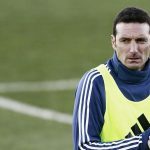 Italian and Spanish clubs might make some big moves after EPL window closes. Because the crazy EPL money drives prices up and makes it difficult for other clubs to work out bargains. I hope both Paredes and Pavon move to Inter. Paredes, Pavon, Icardi and Martinez @ inter would awesome. Great chemistry building for the NT starters like the Germans at Bayern and the Spanish at Real and Barca.